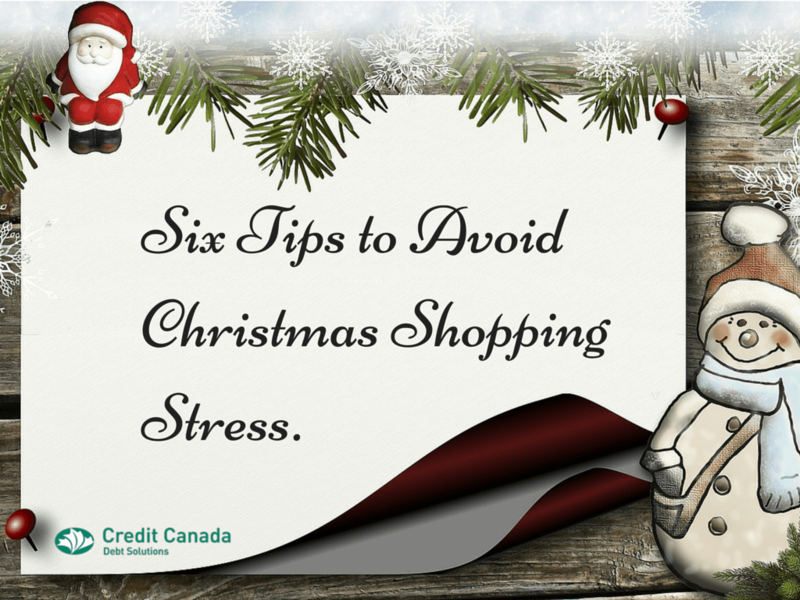 Six Tips to Avoid Christmas Shopping Stress. Let’s face it, you’ve probably opened your wallet a little too much around the holidays at least once in your lifetime. It’s easy to get lost in the spirit of giving, or the spirit of decorating your house perfectly, or the spirit of making sure you have five drink selections for company and not two. Whatever your Christmas vice is the holidays can be expensive and we could all use a tip or two about how to budget, cut back, and stay on track every year. 1. Make a list. Santa does it and so should you. There’s a reason he’s been doing it for years, because it works. Shopping during the holidays can be stressful, it’s crowded and most adults seem to revert back to a pre-manners stage in their life where they believe pushing and shoving is appropriate behaviour. It’s easy to get distracted and grab the first thing you see just to avoid Mr. Budding in line and pretending he doesn’t realize it. Be prepared and have a list so you can stay focused. Seems checking it twice works well too. 2. Shop early. Mr. Budding in line is probably still at home watching the Leafs lose, so get out there before it’s too busy. Sales often start early, avoid the rush, long lines, and have a much more relaxed and enjoyable pre-holiday season knowing that you’re done. 3. For those who buy for a group of friends or family. Draw names. This is a great way to still participate in the fun of opening a gift, but it won’t cost as much as buying for everyone. Set a dollar amount that’s affordable and stick to it. 4. Be crafty. Some of my favourite gifts have been homemade. They can be less expensive and usually appreciated more for the time, effort and thought that went into them. 5. Remember that Christmas is a time to spend with friends and family. I know it sounds cheesy but it’s true. I’m not saying I don’t remember getting my first Cabbage Patch Kid but when I talk about my favourite Christmas it’s the year we decided not to buy gifts. Every family member had to bring a game or activity. We decorated a gingerbread house, played family trivia, and gave Celine a run for her money with our Karaoke stylings. 6. Make a budget. I know, I know, how boring but it’s important. Know how much you can spend on each person based on what you can afford. The spirit of Christmas is not to break the bank. You can still give, just be practical about it. When it’s all said and done if the New Year brings you overdue statements instead of leftover turkey, call Credit Canada Debt Solutions. Their counsellors are experts at solving financial problems. Credit Canada will create a budget for you that includes gifts for the year and give you ways to follow it every month. They take the work out of budgeting and allow you to take control of your life and your spending. They’ll talk about repayment options that are affordable and suited to your financial situation. Credit Canada Debt Solutions will also help you make it to next Christmas.